Bet Webb Simpson to win the PGA Tour Championship at 30-1 with Bet365. Bet Billy Horschel to win the PGA Tour Championship at 33-1 with Ladbrokes. This is always a curious week in which everyone is slightly distracted. First, there is the question of who wins the Tour Championship. In the second, who claims the FedEx Cup. And in the third, how are the Ryder Cup participants faring. It's perhaps just as well only 30 players tee it up, keeping the variables to manageable levels. East Lake Golf Club in Atlanta is a traditional course designed by Donald Ross that had a renovation completed by Rees Jones in 2008. Ross is best known for creating Pinehurst (which hosted the 2014 U.S. Open), but other tracks of his which have recently witnessed tour events includes Sedgefield, Oak Hill, Oakland Hills and, last time out in fact, Aronimink. East Lake is a par-70 playing to 7,307 yards with Bermuda grass greens. This is the ninth time that the PGA Tour season has culminated with the FedEx Cup, and the playoffs have yet to truly catch fire. Deep down you suspect that, even in the dollar-soaked world of golf, the vast riches on offer are deemed a little crude. The purse for the event is $9 million, with $35 million divided up as part of the FedEx Cup annuity. A player who wins the tournament and the FedEx Cup would win $11.65 million. Intriguingly, since eye-watering bank transfers were dangled in front of the players, the favourites have failed to dominate in the season-ender itself. Of the winners, Rory McIlroy was second-favourite in 2016, Jordan Spieth third-favourite in 2015 and Henrik Stenson joint fourth-favourite in 2013. However, Bill Haas in 2011 and Brandt Snedeker in 2012 were both 40/1, while a year ago Xander Schauffele trotted home at 80/1. Jordan Spieth: "You have a lot of uneven lies in the fairways and that’s similar to Augusta. East Lake has a lot more rough, which is very different from Augusta, and the greens aren’t quite as severe or fast, but I like the layout of it." Dustin Johnson: "You can't really fake it round here. You've got to drive it well, you've got to hit your irons well." Henrik Stenson:"It suits me with a lot of long to mid-iron shots into the greens. There’s some holes with wedges as well, but it’s definitely ball-striking golf course." Webb Simpson was a sensational winner of The Players Championship in May, a victory which saw him dismantle TPC Sawgrass with a second round 63 and destroy a world-class field by four strokes. Since then he has flirted with more success. He made the top 10 in the U.S. Open, opened the Greenbrier with a 61, briefly contended in the Open and was second in the Wyndham Championship. Another second round 63, this time in the Dell Technologies Championship at TPC Boston, earned him the halfway lead, but he dropped back over the closing 36 holes. In contrast, last time out in the BMW Championship he thrashed a pair of weekend 65s to finish sixth. Here's what he said about East Lake last year: "I love tree-lined golf courses. If I can see a hole shaped by trees, I tend to drive it better. I grew up in the Pinehurst area. I also love Bermuda grass and I typically play better in the south, it's a comfort thing." This week will mark his sixth return to the tournament and he already owns a pair of top-five finishes (2012 and 2013), but he was also the co-leader at halfway this time last year. He's available at 30/1 with Bet365. 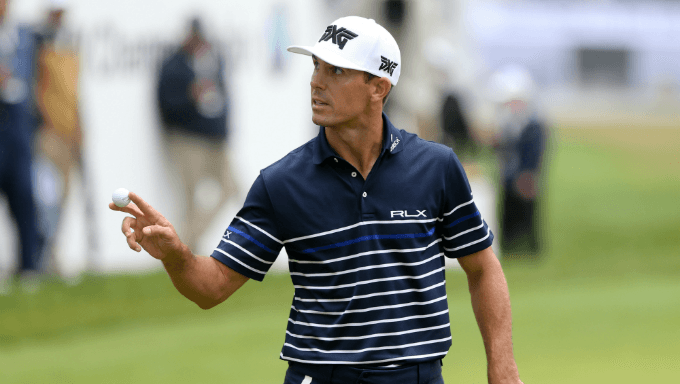 A first return in three years to East Lake for Billy Horschel and plenty of reason to think he might be ready to enjoy it again. "I feel like it fits my game," he said ahead of his debut in 2013 and then set about proving it, contending all week and eventually finishing seventh. "This course is sweet," he said in his pre-event news conference a year later and again he went on to prove it. This time he opened with a pair of 66s to take the halfway lead, then closed with 69-68 to lift the trophy. He's also something of a Donald Ross design specialist. In the 2014 U.S. Open at Pinehurst he didn't hint at as much when opening with a 75 to lie T106th, but he raced through the field to end the week T23rd. He's been fifth and T11th in the last three seasons at Sedgefield and was tied third at Aronimink two weeks ago. His current form is strong, even above and beyond that effort last time out. In fact, it was his second third place in a row and he is hungry for more success to drive himself up the world rankings and guarantee his involvement in next year's major championships. You can bet him at 33-1 with Ladbrokes.